NAEM's 2015 EHS Management Forum Fawn Bergen, Corporate Air Program Senior Environmental Engineer; Intel Corp.
Fawn Bergen, Corporate Air Program Senior Environmental Engineer, Intel Corp.
Fawn Bergen, PE is the Corporate Air Program Owner within the Corporate Environmental Team for Intel Corporation, a global semiconductor chip maker. In her role at Intel, Fawn leads the air program for Intel's operations world-wide. Fawn possesses 17 years of experience in the environmental management field, with expertise in air quality and multi-media environmental permitting, compliance management, program development, regulatory interpretation, auditing, and training. 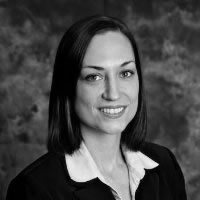 Her previous experience includes AMCOL International Corp., CEMEX, and environmental consulting. She recently participated in NAEM leadership as a planning committee member for the 2015 Women's Leadership Conference and 2015 EH&S Management Forum. Fawn previously served various leadership roles with the Air & Waste Management Association (AWMA) including Section, Chapter, and Conference Chairs for approximately 15 years. Fawn has a Bachelor of Science in Environmental Engineering from the University of Florida. Copyright © 2015 NAEM. All Rights Reserved.